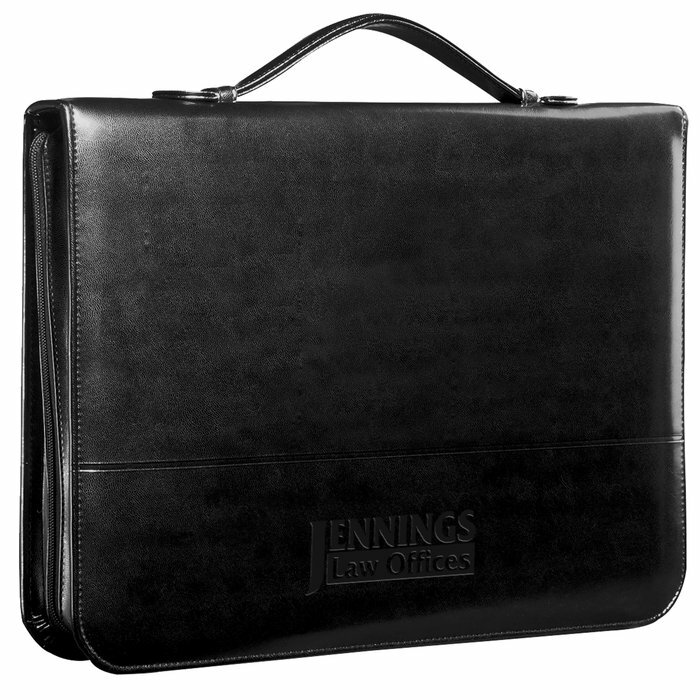 Multiple features enhance this portfolio for effortless presentations and meetings! 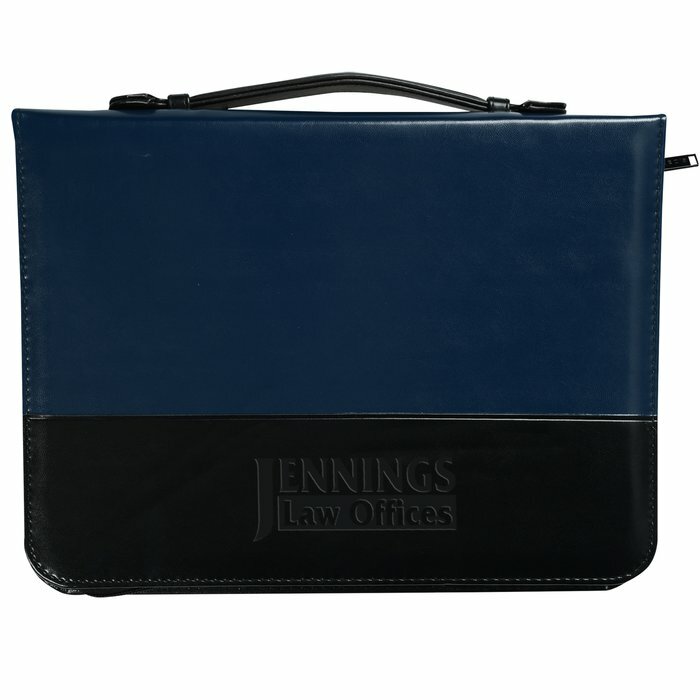 Stitched vinyl portfolio has a zippered closure. Features include an interior organizer, 1" three-ring binder, carry handle and an 8-1/2" x 11" writing pad. Size: 10-3/4" x 14-3/8" x 2-1/2". Your price includes imprint debossed on bottom panel. For an additional debossed imprint on the top panel additional charges will be added to your order.